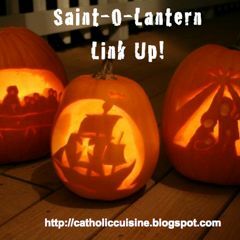 Catholic Cuisine: Saint-O-Lantern Link Up! Wonderful idea! Thanks for sharing your pictures, they are great! One thing, I tried the first link and it didn't work. thanks for sharing these great links. i will be passing them along. This was tons of fun! Thanks for the link-up, Jessica! 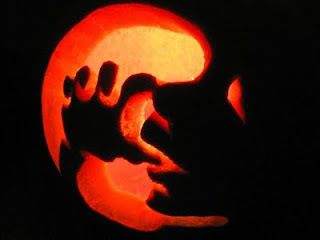 Awesome templates and pictures! Thanks for sharing! These are beautiful and I love the pro-life pumpkin! carved the flying dove, baby, fish/cross. They were easy and turned out great!